Many homeowners overlook certain aspects when remodeling, and in the process end up wasting their precious time and money. We thought it would be helpful to share a list of seven common home makeover mistakes that you should look out for when planning your next home improvement project. A home makeover can be a great way to enhance the beauty of your home, and at the same time make your living spaces more comfortable. 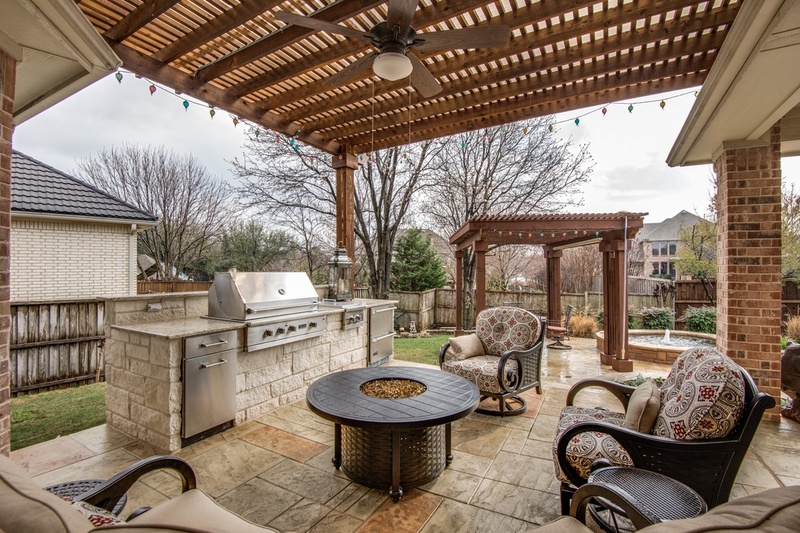 In the case of our McKinney Makeover, this is a second home with all of the luxuries. Our focus was the master bathroom and outdoor living area. One of the best ways to avoid making home makeover mistakes is to choose the best remodeling contractor. 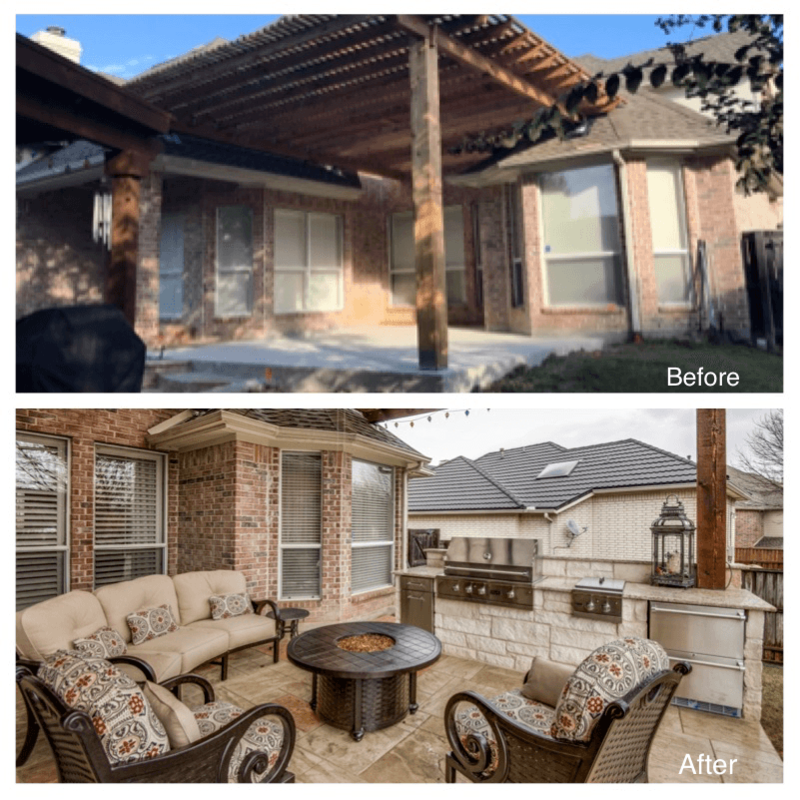 One way to do that is reviewing their before and after photos to see if they have a long track record of success with design build projects like the one you have in mind. 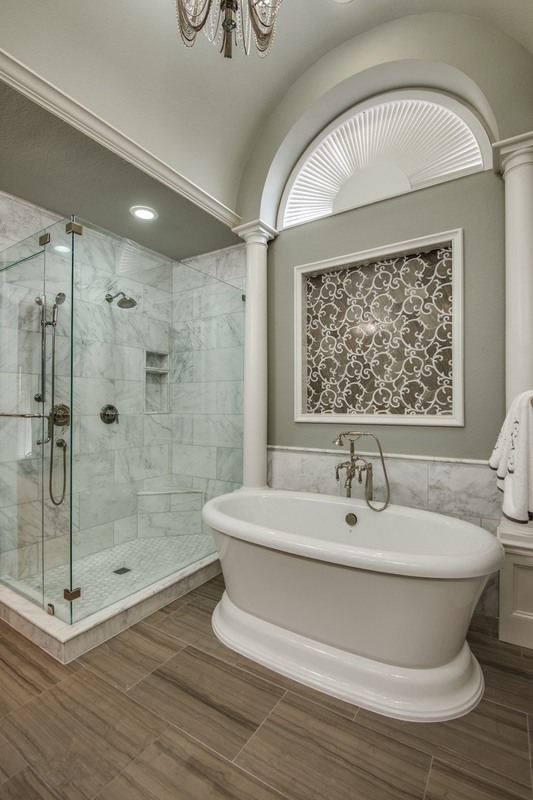 To start on this particular bathroom remodel, we opened up the layout in the bathroom, added a freestanding tub, updated the color scheme, added decorative mirrors that help accent the ceiling details, new light fixtures, Carrera marble and polished nickel. When done right, the value of your home increases when you renovate, yet sometimes, home makeovers do not go as planned. A budget is essential for any home makeover project. However, you must ensure that your budget is sufficient to cover the entire renovation project as you envisioned. The best way to go about preparing a budget is ensuring that your home remodeling contractor gives you a detailed scope of the work to be done, as well as drawings. Including these details helps you to control the cost since it prevents the contractor from introducing unnecessary overhead after the project has begun. When everyone is on the same page you are more likely to avoid costly home makeover mistakes. Do you need financing for your home improvement project? DFW Improved offers some great options for customers who prefer to finance their remodeling project, made possible by Greensky Financial. Learn more about how to finance a remodeling project. Home remodeling involves various processes that can cause serious and sometimes permanent damage to your furniture and fittings. Granted, home reconstruction may sometimes entail replacing or rearranging the existing furniture, or adding new furniture pieces. Unless you are planning to buy new furniture when you are finished with your renovation, you must ensure that the fixtures and furniture you are keeping will be protected from damage during the remodel. Caring for furniture involves using protective covering on furniture pieces or storing the furniture in a secure location. There is no quick fix for home remodeling. 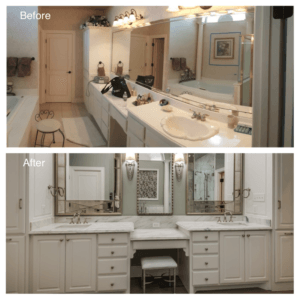 A makeover requires careful planning and execution to ensure that you achieve the desired results. Any attempt to cut corners or rush the renovation process usually turns out disastrous. Make sure you take time to research the changes you want and need to make to your home in order to achieve your desired result. With a clear vision, you can easily come up with a budget and timeline for your home improvement project. At DFW Improved, our project managers and designers walk through this process with you to ensure success. Home renovations can undoubtedly be a costly affair. Since the remodeling process involves tearing up parts of your home, you are most likely to discover hidden problems that you were not expecting. Some of the common surprises that homeowners might stumble upon during renovations include pest infestations, structural damage, water damage, and mold growth. Discovering any of these problems could mean you have an entirely new project to work on before proceeding with your initial plan. For this reason, it is important to have a knowledgeable contractor and a contingency budget to cater for such unexpected issues. Home makeover mistakes occur when these surprises are not dealt with properly. A home makeover is a major investment – it not only makes your home more appealing and comfortable to live in but also increases its value. Because of the importance, you really can not afford to choose an unqualified contractor to handle your remodeling. A wide range of factors determines the suitability of a contractor including competence, expertise, and insurance. At the very least, an ideal home remodeling contractor should be adequately insured to carry out the scope of work that your renovation project entails. Check out their reviews, references, before and after photos, portfolios, and videos. What do their current and past clients have to say? A lot of planning goes into home renovation projects to ensure that the results are better than you envisioned. Failing to have a clear vision usually leads to design disasters, with lots of small details being overlooked. In an attempt to avoid home makeover mistakes, it is common to find homeowners focusing on irrelevant details, which add little or no value to the overall design. Consult your home remodeling contractor and designer – share your vision with them, share your Houzz and Pinterest boards. Ask them to come up with a detailed plan and drawings, based on what you’ve set out to achieve. Constant communication with your contractor will help you to exchange ideas frequently, get advice on things to consider, and refine the plans to your expectations. Many homeowners tend to forget that a home makeover means restricted movement and or access within certain areas of the home until the project is complete – it is never business as usual once work begins. Since some areas may be partly or completely inaccessible during the length of the project, it is important to plan how you will cope without having to access areas such as kitchens, bathrooms, and other areas in the home that tend to have the most impact. It is important to ensure that there is minimal human traffic in the home during this time. For instance, it would make a lot of sense to schedule a makeover when your family is on vacation. To learn more about home makeover mistakes to avoid and why they happen, visit our page about remodeling regrets. Do you want to know more about what to expect when committing to a home remodel? Here are 10 things to keep in mind for your next remodel.